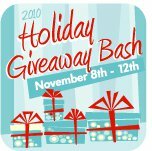 Are all of you following the 2010 Win Giveaways Holiday Bash still with me?! Here is giveaway #9 – sure to please the little people in your life! The Play Doh Mega Fun Factory Playspace comes with 6 cans of Play-Doh, a motorized conveyor belt, and several molds. No matter what their age, Play-Doh is one of those toys that kids love since they can create something new each time they play. 1 winner will receive a the 3 toys listed above. This giveaway was sponsored by Litzky as part of the Win Giveaways 2010 Holiday Giveaway Bash. This post was written by me and was not edited by the sponsor. Read more in my disclosure policy. Find more information on the terms for this giveaway on the Win Giveaways Facebook page. Play Doh Mega Fun Factory looks the most fun! I re-tweeted the giveaway, user name: llehciMMichell. I LOVE the Play Doh! I think any of my grandkids would LOVE it as well!! I promoted this contest on my FB. (Liked those pages as well). I subscribe via e-mail to your newsletter. Play Doh Mega Fun Factory Playspace looks the most fun! I think that that play doh fun factory looks to be the most fun! I subscribe to your posts via google reader. The play doh fun factory looks neat! I think the Tonka Mod Machines System, my middle child would love this!!! My nephews love play-doh, this would make a good Christmas gift! The playdoh……my son and I love playdoh! The playdough set looks fun…that is my pick! The Tonka Mod Machines would be perfect for my boys! The play doh of course! the tonka vehicle looks fun! The playdoh looks like the most fun…because who dissent have fun with that stuff? The playdough looks like fun! I think the Play Doh Mega Fun Factory Playspace looks like the most fun to me! Wow! That Tonka Mod Machines DX9 Pickup is awesome! My two kiddos would love it! The Play Doh Mega Fun Factory Playspace sounds like loads of fun to play with for my older grandkids, but my youngest granddaughter (10 months) would love the Playskool Musical Activity Ball and Gear Center, and my youngest grandson (2 years) would think the Tonka Mod Machines System is top-notch! I would LOVE to win all of these wonderful toys! Thanks for the chance!! My children would love the Play Doh Factory. The mod machine looks like every boy’s dream! Building and trucks in one toy! My son would love the Tonka mod machine. I think the Tonka Truck looks great for my boys. They would love it. I love the playdough fun factory playset! I like the Tonka Mod Machine system. I like the Tonka truck for my boys. Would love the playdough. Play, laugh, grow. My 3 year-old son Jude would absolutely love the Tonka Mod Machine!!! They all look good, but I think the Tonka Mod Machines System looks like something my boys would love! Already a Facebook fan. A Facebook fan for life. I would love the playdough toy, my daughter has actually pointed it out specifically when going through the toy catalogs. Get emails from Stretching a Buck. I think the Playdough Mega Fun Factory looks the coolest! The play doh fun factory looks like the most fun!! The playdough toy. Playdough is not just great play but for special children its OT and play at the same time. My son would love that truck!! I think the PlayDoh would be fun, and so would my three year old! Signed up for your emails!! I always wanted that Playdoh toy as a kid! I would love to win the Play Dough set. With 3 granddaughters and another one on the way, this would be great to add to grammies toy box for play time. Play Dough is the famous “go to” toy that never fails. Definitely the Tonka truck – although we would have fun with any of them! I think the Play Doh looks like the most fun. My kids and I like to make things with Play Doh! I think the PlayDoh looks like the most fun, but my son would love the Tonka turck! I think the truck looks like the most fun- my kids love Tonka. the ball drop and gears would be wonderful for my 18 month old! My son would love the Activity Ball and Center, but then again, he would LOVE any toy! the playdough looks the most fun but also the messiest!! The playdough looks like fun! My girls would love it! Play Doh is always a favorite. It inspires imagination! I promoted on fb too. The Play-Doh would get a lot of uses here. i wanted to get my daughter the playdoh thing, so this would be great! Three kids… something for everyone. Thanks. The busy ball popper would be great for my daughter…it looks the most fun to me! The Play-Doh center looks so fun! My 3 year old and I would have tons of fun with the Play Doh set or the Tonka Mod Machine, but I would also have lots of fun with the activity ball and gear center with my youngest who will be 6 months by Christmas! I think it’s a tough choice on which won would be the most fun since they all look pretty great! The muscial activity ball and gear center would be perfect for my infant! I think the Play-Doh looks like a lot of fun! My son and I love to play with Play-Doh together and this would be a great toy for that! I like the truck, so would my boys! The ball and gear center for my baby boy! The truck looks the coolest to me. my 4 yr old would love that tonka truck! Definitely the Play Doh Mega Fun Factory Playspace looks like the most fun! Play Doh Mega Fun Factory!!! The Tonka Mod Machines System looks awesome for my little guy! I am a facebook fan and shared this giveaway with my friends! anything play doh goes over great in my house! I think the play doh would be fun for my daughter! I subscribe to your email and follow you on facebook. The mod machine truck looks like the most fun. Became a fan and shared on facebook! I’m a fan on Facebook and I share! Picking one favorite is hard. I love the Play Doh Mega Fun Factory because my kids love Play Doh, but I have an 8 month old that would love the Playskool Musical Ball, and I have all three boys. They all would love the Tonka Mod Machine. Hard to choose just one. I think the playdoh toy would be most fun for my two children. I Have two boys who would love this! The Play Doh – we are HUGE Play Doh fans! The Playskool Musical Activity Ball & Gear Center seems like the most fun to me. The Mod Machines, we’re all about cars and trucks at our house. I think that the Play Doh Mega Fun Factory Playspace looks the most fun. We love play-doh at our house! The playdoh! My 3 yr old is soooo into it right now. The Tonka Mod Machine looks the most fun! The playdoh fun factory looks to be alot of fun! Tonka Machines System looks like a blast!! My grandson would enjoy the activity ball center! My son would love to play with the musical activity ball center. My son would love these for Christmas! Pick me…Please! thanks! Keep up the good work. I love saving money! I subscribed to your emails! Yea! My son would love,love,love the truck! My son and daughter would both like the playdoh and the musical gear center I would give to my nephew because he’s in that age group. The playdoh mega fun factory for sure! The Play Doh! I loved play doh growing up! The Tonka! That would be the favorite in this house! Sent a tweet about this giveway. My son would go nuts over that monster truck! The tonka truck is perfect for my son and the playdoh is perfect for my daughter! The truck would be great for my boy. I think the playschool center would be so fun for my daughter! The playdoh has to be the most fun! The Play-doh fun factory is the best. I like the Tonka for my boys best. I would love the Playskool Musical Activity Ball and Gear Center for my 4 month old! The playdoh factory looks great- my son would love it. The Play Dough toy looks great! At my house, kids, parents and grand parents all join in the play dough fun. The play-doh mega factory would be a huge hit in our house! The play doh factory thingy!!!! SUPER FUN! The Play Doh Mega Fun Factory Playspace looks fun to me! The Play doh looks the most fun to me. You can do so much with Play doh and it’s great for a huge age range. Toddler to adult! The Play Doh toy looks like the most fun to me! The play-doh machine looks like fun. I think the playdoh factory looks fun. Thanks! I subsribed to the newsletter and I think the playdoh looks like the most fun because we can play with that too! The musical activity center looks like it would be the most fun for my 10month old and I. You had me at motorized conveyor belt. My 5yo’s just learned about assembly lines with a visit to Henry Ford Museum and they love play-doh. The Tonka truck would also be loved around here. The Tonka Mod Machines System looks fun. My son would love it! My son would love the Tonka truck and my girls the Play doh. Thanks, these would be wonderful for Christmas. My kids love Playdoh so I would have to say that I like anything to do with it. I think the Tonka truck would be a wonderfil gift. The gears! My son loves anything with the gears. I think the tonka mod machines system looks like the most fun… mainly because I have two little boys who love trucks! The Tonka Mod Machines System! I have TWO boys who LOVE all things transportation! I don’t really have a go to gift. The Tonka Mod Machines System looks like it would be the most fun. I have Grandsons that would love it for Christmas. Play -Doh is a big hit at our house. FB FAN and fan ofmy kids who love love love toys! My so would love to take that truck apart and put it back together!! Can’t beat playdoh! My girl’s love that stuff! I love love LOVE that Playdoh! We are huge fans of the stuff in our house. They all look great but I think my son would love the Tonka Mod Machines System the best. I subscribe via google reader. Thanks for the giveaway. Love the truck. Play-doh is always fun too! My kids love anything Play-Doh! That one looks like fun to us. I think the play-doh would be the biggest hit at our house. PLay doh. My kids love it. play doh. I have a 2 y/o that would go nuts. My son is loving Play-doh right now. The Tonka one looks like fun! That Tonka Mod Machines System looks pretty awesome to me! My son would love the Play-Doh. The Play Doh Factory looks like a blast! The Play Doh Mega Fun Factory Playspace looks like the most fun to me! I have always loved playing with play doh. My 12 month old would LOVE the Playskool Musical Activity Ball and Gear Center! My daughter would LOVE the Tonka!! The Tonka truck would be soooo much fun to play with!!! My husband will have hours of fun with all of them and our granddaughter, however I would love most the playdough. oh i’d go with the play doh! I think the Explore ‘N Grow musical gear center looks like the most fun to play! My son and I love to play with play doh! The playdoh looks like the most fun squish squish. The activity ball and gear center sounds most fun to me. The play dih would make a great gift for my 3 year old! The truck looks like the most fun to me but my daughter would be all about that Play-doh set! My son would love the Tonka toy, we both love them and think Tonka is the coolest. Play-Doh set looks like the most fun! We would be so excited to win the Playdoh Mega Fun Factory. My 2 year old LOVES playdoh! Play-doh!! who doesnt love that smell! The Playskool Musical Activity Ball and Gear Center looks like lots of fun! The Play Doh Mega Fun Factory Playspace looks like so much fun! My son and I love play doh! Thank you so much for the chance to win! I would love the playdough set. My son would love to make things with this! I also subscribe to your feed through Google reader. The Playdough activity center looks fun to me! My girls can play for hours with Play Doh. I’m ready to play with the play-doh fun factory. The Mod Machines look like fun! I like the playdoh – lots of interaction playing with my toddler. why playdoh of course!!! it’s fun for all ages! i think the playdoh fun factory looks fun! My two-year-old would be most interested in the play-doh while my 5-month-old will be ready for the activity ball soon. The Tonka Mod Machine looks really cool. My nephew would love it! The play doh looks pretty cool. My daughter would love it! I think the Tonka looks the most fun because that’s the kind of thing I loved to play with when I was a kid. the playdough looks really fun! The Play Doh Mega Fun Factory Playspace looks like so much fun! All of them look so fun! I follow via a Yahoo RSS follower. My 1 year old daughter would love the gear toy. My son is addicted to playdoh. I think the Playdough set would be a HIT @ our house!!!!!! The Tonka toy would be fun for a wide range of ages. The playdoh looks like a lot of fun! Who doesn’t like messing in playdph!? My son would love the Playdoh set. He is 6 and still sits and plays with Playdoh for hours. I think the Tonka Mod machines systems looks the best. Play doh mega fun factory for sure! Like you on facebook. Well, I would give this to my friend who has a little one, so since it’s not my kid…Play-doh! my son would love the Tonka truck! I think the Musical play set looks like fun. If I win im going to give this to my cousin who is pregnant. I love the Tonka Mod Machine. Looks like loads of fun! I think the Mega Fun Factory looks the coolest. My 7 yr old twin boys would love that. The Tonka Mod Machines System looks the most fun to me! I think my god son would LOVE it! The play-doh looks like fun. My daughter just turned 1, so she would love the musical ball popper! However, I think the play-doh looks like a lot of fun! The play doh machine looks awesome! I love to play with play-doh. the play dough factory looks like tons of fun! The play doh factory would be so fun for my 2.5 year old! The Play Doh factory looks so much fun! I personally think the play doh fun factory looks like loads of fun! The Play Doh Fun Factory seems like the most fun. The Tonka Mod Machines look awesome! All of my kids would enjoy this giveaway. I have 4 kids ranging from 1 year to 5 years! The Tonka trucks look the most fun to me! The Playdoh is my favorite! My son can’t get enough! My kids would love the play dough…and I would have to clean it up I am sure. Oh well! The Tonka mod machine. Thank you for the awesome giveaway! I love the machine systems. My little guy is obsessed with cars and trucks. He’d love it! My grandkids have fun with Play Doh every day so they would really like the Play Doh Fun Factory. I think the Play-Doh looks pretty Cool to play with! my son would love Tonka Mod Machines System. It seems like kids never get sick of Play Doh! I follow on FB and shared! The Play Doh Mega Fun Factory Playspace looks like tons of fun! I loved it as a kids…heck, I still do! And my little guy does too! Thanks! Play-doh looks fun to me! Both of my boys are big into Play-doh right now. My kids love Play doh, so i think i would go with the play doh toy. The Play Doh Mega Fun Factory Playspace! The Play-doh factory looks really fun. I always liked Play-doh as I kid. I think the Play Doh Mega Fun Factory Playspace looks like the most fun for our family. The Tonka Mod Machines System ~ Rock Crawler looks the most fun to me. I’ve got a house full of boys. I think they all look fun. Any kid would love them! I love the ball and gear center! My 8 month old would love this as a Christmas gift! The plahdoh looks like the most fun! My kids love play-doh and all the fun toys you can use with it. Playdough fun factory looks awesome!!! My girls would love the playdough…….and the others would be good for the brother they will soon have! Thanks! The play doh factory looks like fun! The playdoh looks like fun. Thanks. The TOnka Mod Machines System looks the funnest to me! I read your blog through an RSS reader. I think the play-doh fun factory looks like the most fun! The tonka mod machines systems looks like it would be the most fun to play with. My friend’s son would love the Tonka Mod Machines System! It’s right up his alley. The Tonka truck looks great! The tonka toy looks to be the funniest. I posted your give away on facebook. The mod machines look awesome! You can tell i’m a mom of all boys, lol. My daughter loves playdoh! She would be so excited to get that for Christmas! My sons would love any of these!!!! I am a fan of your on Facebook. I like the playskool Musical Activity ball and gear center., looks nice. Love play-doh, so that would be my choice. Tonka would be the most fun. My son goes crazy for anything Tonka! The Play Dough Mega Fun Factory looks like a lot of fun!!! The play-doh looks fun & my kids still love to play with it. I think my daughter would LOVE the gear center! Playdoh looks like the best option for us! I like the Pla-doh fun factory!